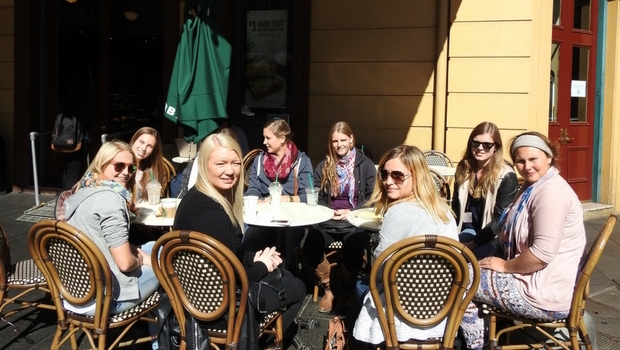 Learning while abroad isn't just about completing a study abroad program. I left the recent IIE Summit on Generation Study Abroad in D.C. excited, inspired, and more sure than ever of one key idea: reaching Generation Study Abroad’s “moonshot” goal of doubling the number of Americans studying abroad can only happen if we expand our notion of what “studying” abroad actually means. I’m not suggesting that we pad the numbers. But I am suggesting that we broaden our definition of “study abroad” to also include a variety of international programs that are educational and experiential in nature, but not necessarily academic. "It felt like we were saying that to get from A to B, we can only use cars – no buses, no trains, no innovative, alternative modes of transport." Throughout the Summit, I was struck by how much of the conversation centered on for-credit, academic study abroad programs for currently enrolled U.S. college students. The conference grappled with the many barriers to increasing study abroad participation, such as cost, academic program restrictions, and access for students from diverse backgrounds, to name a few. Yet, rarely did the conversation stray beyond the realm of colleges and currently enrolled students. There was little mention of non-academic international opportunities. It felt to me like we were saying that to get from point A to B, we can only use cars – no buses, no trains, no innovative, alternative modes of transport. And cars are essential! But if we don’t seek some other solutions too, we may look up in five years to find ourselves still stuck in the same bad traffic, slowly inching along. 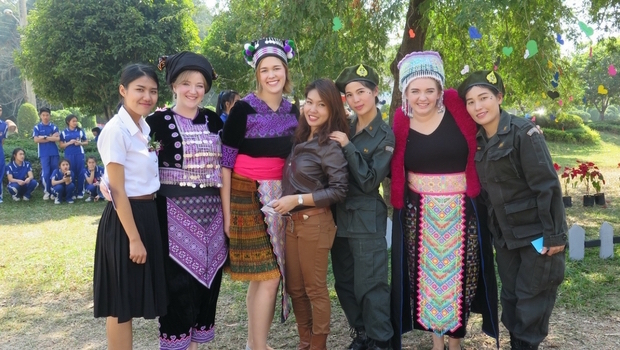 Kristen enjoys her time at a festival while teaching in Thailand. So let’s push ourselves to expand our thinking about “study” abroad to acknowledge the myriad ways a young person can engage meaningfully with the world. Our collective definition of “study abroad” should also include work, teach, volunteer, and other educational and experiential programs. Gap year and postgraduate programs. Social good and volunteer programs. Peace Corps and the JET Program. Programs that are non-academic, not necessarily tied to a university or college, and not even necessarily targeted at currently enrolled students, but programs that offer significant educational experiences for young Americans all the same. After all, one of the main reasons for our collective “moonshot” is to create opportunities for more young Americans to develop skills for successful careers in a global economy. As anyone who’s done an internship or a tough summer job can tell you, it’s often our outside-the-classroom experiences that give us the best prep for our careers. 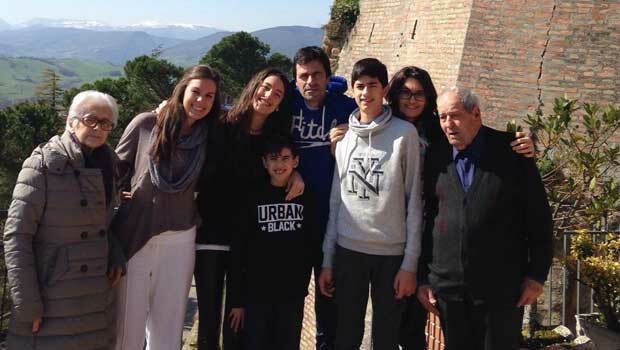 Haley learned a great deal from her Italian host family! Work, teach, and other experiential abroad programs also often feature a price and a structure that many young people may find more doable. A U.S. diplomat colleague recently told me a story that illustrates this point. This diplomat, posted in a small European country, was tasked with getting more young people from his host nation to study in the U.S.
Only 400 young people in the entire country were studying abroad in the U.S. The only problem was: only a tiny fraction of the students in his host country had the money or the freedom in their university schedules to do so. His answer was to focus on an abroad program that didn’t involve traditional academic study, but still provided the educational and diplomatic elements he was looking for. Specifically, he focused on a work and travel program. The work placement made the program more affordable, and the summer break schedule didn’t get in the way of academic coursework. The educational and diplomatic benefits were strong as well. Students who spent a summer living and working in the U.S. were able to experience America firsthand, improve their English, adventure around the country, and gain important work experience – all elements that young people are looking for in an abroad experience. "Let’s push ourselves to expand our thinking about study abroad to acknowledge the myriad ways a young person can engage meaningfully with the world." 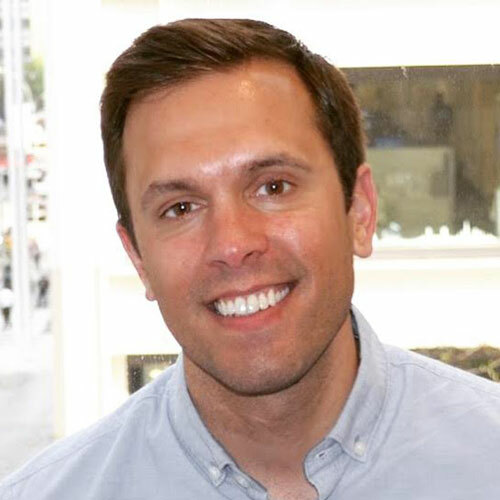 In the end, this diplomat’s focus on a shorter-term, non-academic, work-based abroad program helped him drastically increase the number of college students he sent to the U.S. His country is now sending more than 3,000 college students to the U.S. to work and travel – eight times as many than for traditional academic study. He said that he’d love every student he meets to be able to spend time at a U.S. university – but he knows this just isn’t realistic for most. In the end, what he really wants is to provide as many students as possible with substantive experiences that fit within their financial and other limitations and provide them with linguistic, cultural, and pre-professional experiences that prove beneficial as they move into their careers. 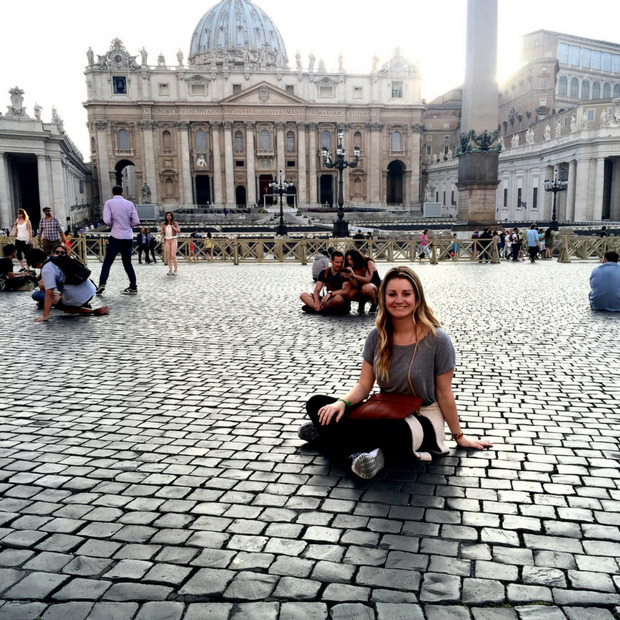 Tara explores Vatican City before teaching Summer English Camp. It is these same goals that the Generation Study Abroad movement is so admirably championing. And providing more work, teach, volunteer, and other experiential abroad programs for young Americans can help us achieve them. Let’s seek to expand what study abroad means to young Americans. Let’s ensure that they know they can, should, and must seek a study abroad experience – which might be study, but it might also be work, teach, or something else. As long as the program they choose pushes their personal boundaries, teaches them critical language and cultural skills, and allows them to grow into the global professionals they want to be, it will be a valuable contribution to meeting the goals of Generation Study Abroad.